Some green paint, grey paint, foam, spitfire logo. 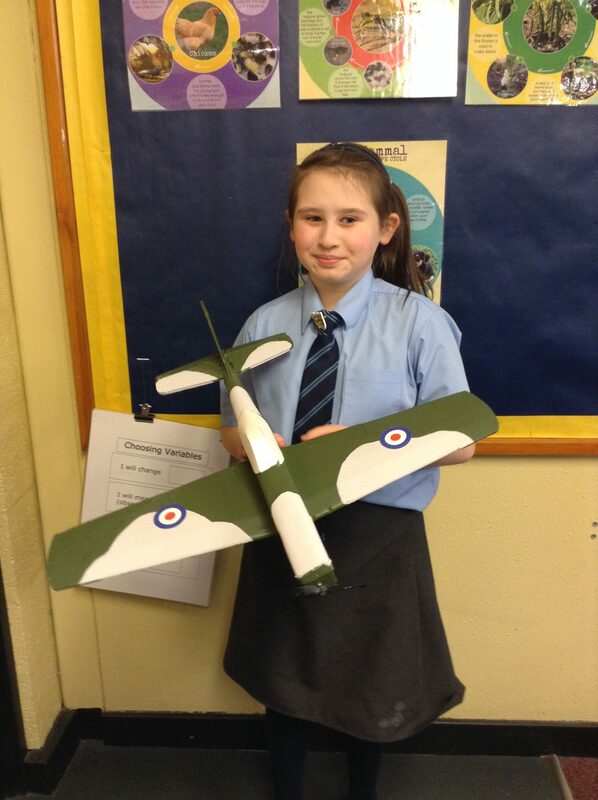 First I got some foam and my Mum carved the foam into a spitfire so it could be painted. After I painted it all green and waited for it to dry; you also need to get some grey paint and paint lots of different patterns. 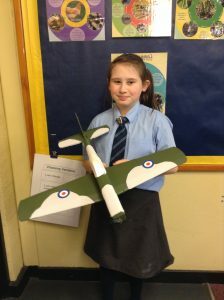 Next you need to print off some spitfire logos, stick them on the middle of the wing and just a bit behind on the body of the plane. Wow Sophie that’s fantastic. You make it sound so easy! That must of tuck you so long to make.It looks so good well done. THAT IS A GOOD PLANE! !